Our family has known and dealt with the Sykes family for many years. 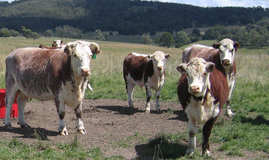 The Mawarra Stud is a reflection of the Sykes’ honesty, integrity and dedication to the Hereford breed. We have found their pursuit of superior genetics has set their stud as a leader in the Hereford Society and l believe will continue to be so for many years to come. We have always been impressed with the high quality of bulls that are presented on an annual basis. Impressive and informative also is the Mawarra website. 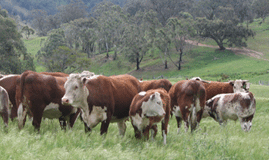 Its detailed data and ease of navigation makes it a useful tool in researching and selecting bulls for potential purchase. 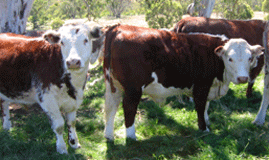 Our family have been purchasing Mawarra bulls for at least the last 27 years during which time they have stood the test of time in our Hereford and Hereford/ Shorthorn cross enterprise.Over many years our calves have consistently featured in the opening pens of the Omeo leg of the March Mountain Calf Sales.